Sleeping. Is your baby sleeping through the night yet? I get asked this question quite regularly from family and friends. I’m sure if I didn’t have access to facebook and all the wonderful articles I read. I would be freaking out right now. Yes, she sleeps through the night, but not how you think. When she is tired, I feed her to sleep. I have no problem with doing this as it is the easiest way for me to get her to sleep. She sleeps in my bed so that I know she is safe and she knows she is safe. She wakes up many times in the night. This is normal. Fun fact: Infants naturally need to wake during the night to be fed and to be sure they are safe. In the cave dwelling days, human infants had to always be alert to the danger and to make sure they are near their caregiver. A baby alone could be detrimental. Babies have not lost this innate sense of security. 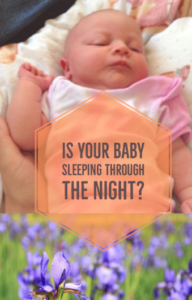 Asking a new mum, whether their baby sleeps at night can cause undue stress. They start feeling like what they are doing is wrong, that they shouldn’t be there for the baby, as it needs to learn to sleep. Babies don’t need to learn to sleep. They know how to sleep, they do it all the time, they also wake all the time. They need to know they are safe. Babies that know they are safe, are less stressed, cry less. This, in turn, means mama can have some sleep. Even if that does mean waking for a minute to feed the baby. (This is referring to breastfed, co-sleeping babies who can be fed straight away). On average, mamas who breastfeed and co-sleep, get more sleep than other mamas. Mamas need more support on breastfeeding in general. But, this was enough to convince me that I would breastfeed and co-sleep. I’m 28 years old and I don’t like to be alone at night. I always prefer to have someone close to me. So why not my toddler who is still learning about the world. 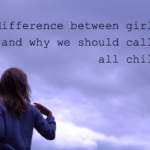 It seems society want children to be adults, straight away. Get them sleeping in the night, eating 3 times a day, sitting quite when told and behave like you are supposed to. So many people think that children don’t seem to have the proper childhoods that children deserve along side with wanting their kids to sit quietly in public and sleep at night. Do you see the irony of what is expected? After reading the book ‘The continuum concept’, I could easily understand the benefit for both baby and mum. I have always tending to choose the lazy approach to parent, in turn, these choices tend to be great for having stress free, content babies. Yes, my daughter has had her moments, but on a whole, she is confident and happy to explore and play on her own terms. She always knows I’m here which means she doesn’t need to constantly worry about losing me. 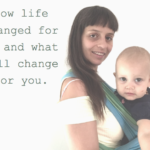 Here are my main tips for what a new mum needs, which helped me on my lazy parent journey. I’m not going to lie, I do complain about the lack of sleep I get as a mum. This doesn’t mean I need it fixing. When my daughter is ready, she will night wean on her own terms. I am happy with this as it suits our lifestyle. Whatever decision you choose, it needs to suit you. Don’t try and force anything that you are not comfortable with. This is what causes the stress that mums are put under. Do parenting how you think is best, not how anyone else will think is best.